© ABD Ltd/Ent. One UK Ltd 2008. All Rights Reserved. These are the official Ben and Holly licensed characters, Ben and Holly. 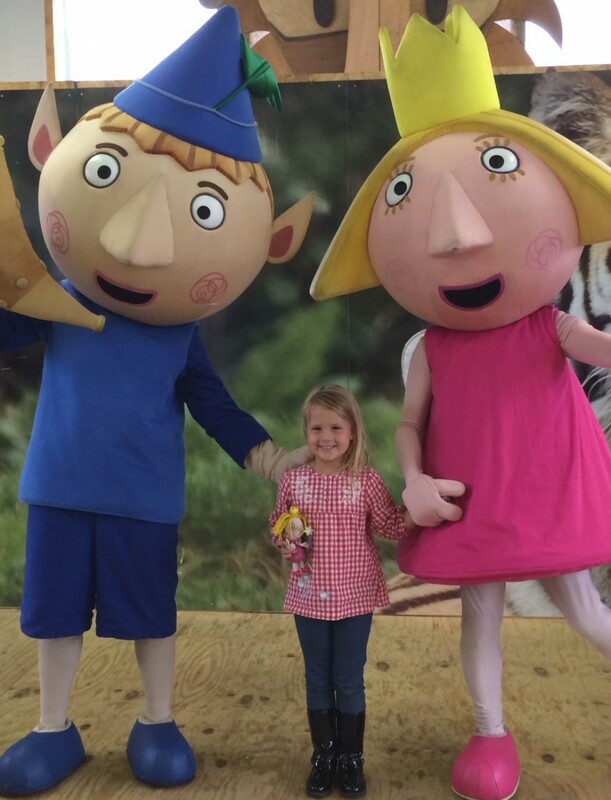 The BAFTA-winning show “Ben and Holly’s Little Kingdom” has become a staple of pre-school television, and subsequently Ben and Holly mascot hire is a great choice for any event or venue looking to increase footfall and engagement among younger fans. Ideal for children aged between three and six, characters in Ben and Holly outfits will please any young fans of the stars of the hit television series and the successful run of live shows. With our actors dressed in official Ben and Holly outfits, little ones can be transported into their favourite world and meet the Holly the Fairy Princess and Ben the Elf up close. 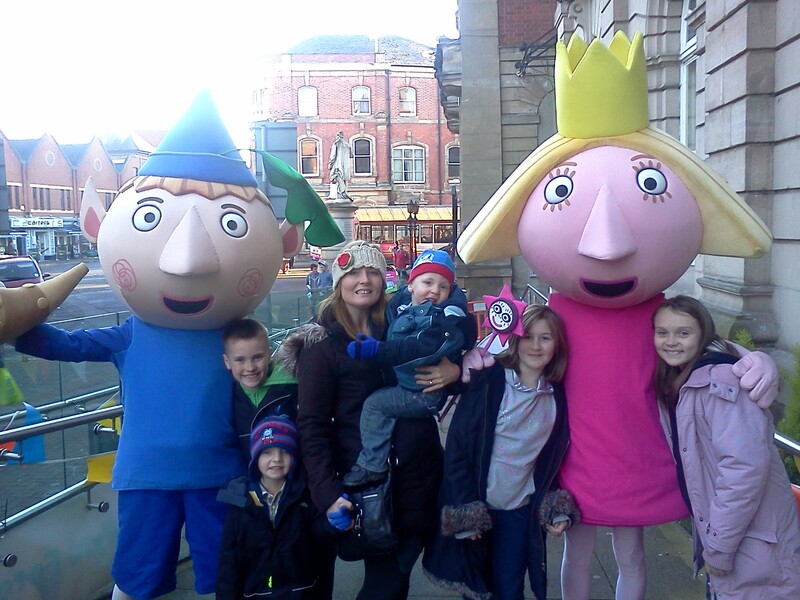 With Rainbow Productions, you benefit from more than just a Ben and Holly costume; our performers are all highly trained and excel at portraying the characters as they are on the show, so kids can feel completely at ease around them. 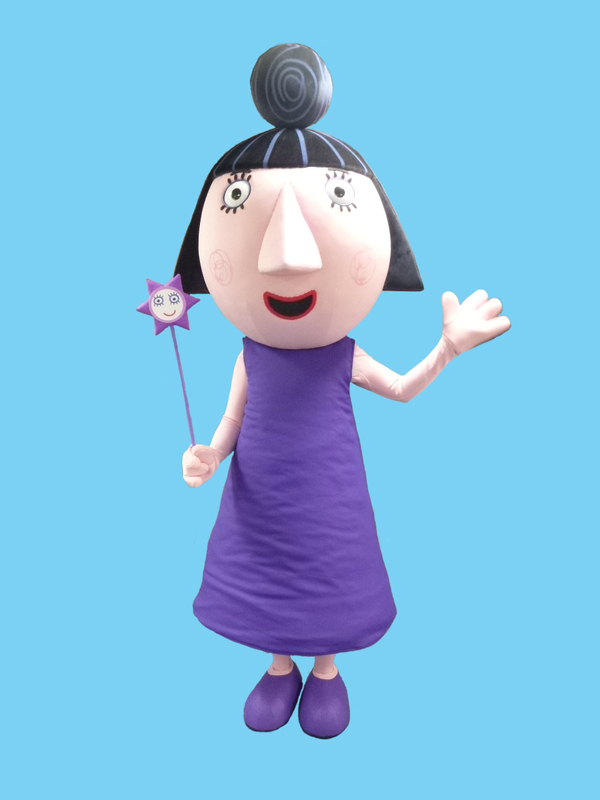 With every Ben and Holly mascot is a Road Manager, who acts an assistant on the day. They will dress and “mind” the character, answering questions and helping the move from place to place throughout the day. 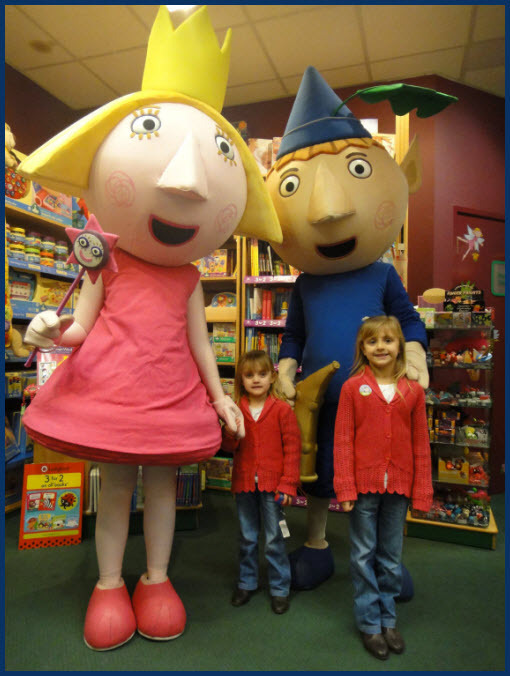 As we are the UK’s only official licence holder able to manage the “appearances” of Ben and Holly, you can have every faith that the Ben and Holly mascot costume is completely authentic and true to form, so you can have complete confidence in the high production quality. When it comes to these costumes appearing in copyrighted imagery, we have also created some guidance notes that will help you create publicity and marketing materials that promote your event whilst ensuring the characters remain on brand. The Little Kingdom is home to Princess Holly and her best friend Ben Elf. Holly is an 8 year old fairy who lives with her mummy, daddy and baby twin sisters in the Little Castle within the beautiful Little Kingdom. Princess Holly is still learning magic and often practices her spells on her best friend Ben. She is kept in line by her teacher and fairy-maid; the venerable Nanny Plum. Ben is a young Elf who lives in the Great Elf Tree in the Little Kingdom alongside his family and all the other elves. Non-magic Ben is skilled at making toys and climbing trees and helps Holly out of scrapes when her spells go wrong. Ben is cheerful by nature but he gets a bit fed up if Holly uses her magical skills to her advantage when they are playing games. Nanny Plum is Holly’s fairy maid and teacher, she’s very good at magic however sometimes even her spells go wrong! She can speak lots of animal languages and her favourite spell is to turn people into frogs! Ben & Holly have lots of magical fun and exciting adventures playing together along in the Little Kingdom with their friend Gaston the ladybird. BAFTA award winner for best Pre-School Animation 2009 and 2013. British Animation Award winner for Best Pre-school Series 2012 and Best Voice Performance 2014.
International Emmy® Kids Awards winner for Best Pre-School Series 2014. Right Start Toy Awards 2011- Winners! Ben & Holly is broadcast globally in over 130 countries. 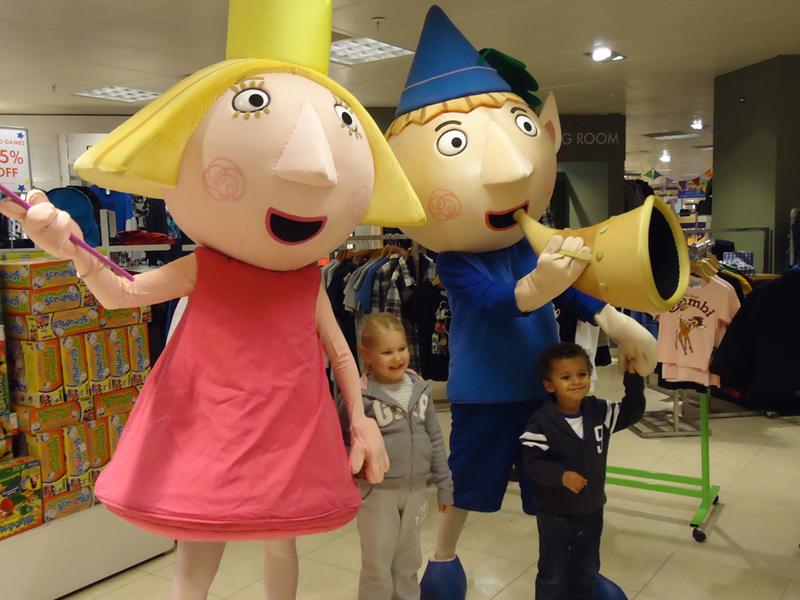 Mascot costumes Ben and Holly and Nanny Plum are available to attend UK events.